To put it simply; These lipsticks. Are. AMAZING!! These are the first high-end lipsticks that I've bought myself and I'm so so happy that I did. 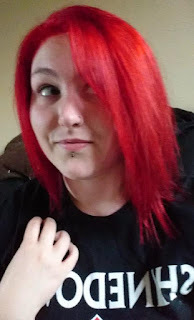 Since they were more expensive than my normal purchases I didn't want something that was a normal colour, I wanted something that would make an impact! 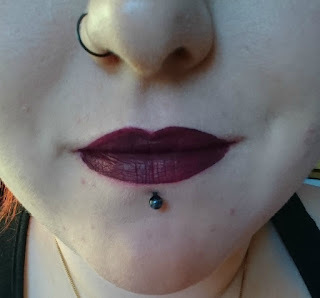 I chose Ayesha, which is a mute purple colour, and Exorcism, which is a dark burgundy. First of all, packaging is beautiful. The boxes (which are least important...) are black with the details in silver/grey. The lipsticks themselves are pretty much the same, the lid is black with rose designs in silver on which follow down onto the tube. 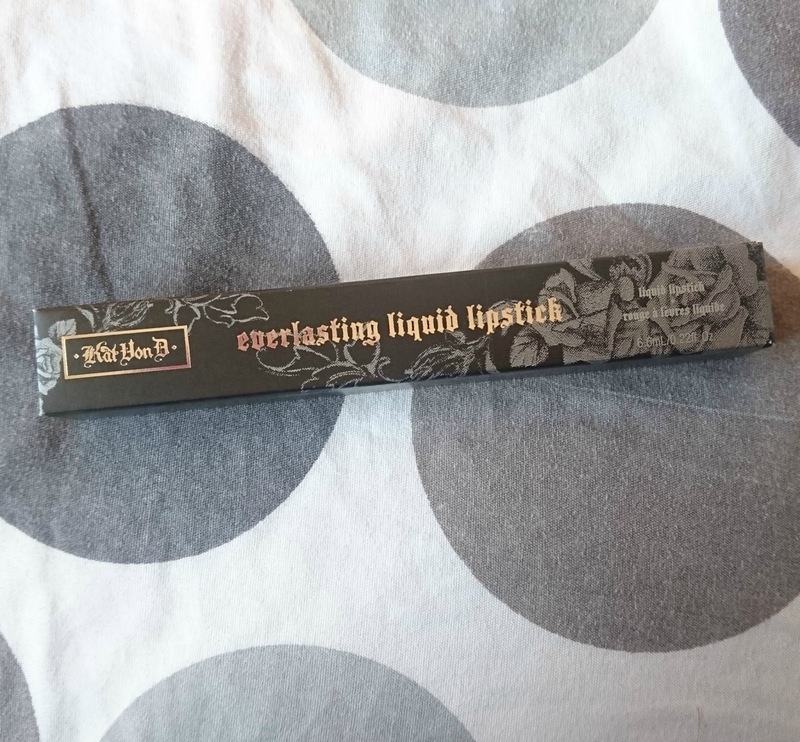 The tube is clear with black rose detail to show the colour of the product and it has the name of the colour on the bottom, which I always like to see! The pigmentation is great! The colours really come through and they don't come off patchy at all. There is no need to build up the layers (unless you want to) because one layer is enough to colour your lips. Aside from the pigmentation, I think the colour range is brilliant too! I love the bolder colours that are available, these are exactly what I love to wear and having a great product to use really makes it easier. These lipticks are easy to apply too. They come with a doe foot applicator and it's best to work your way out of your lips, as the product builds up on the tip a little and then you can take more control on the edge of your lips with less product. The finish is also great. It's a matte finish and they dry quickly. They come off with very little transfer, however they're not drying at all on the lips and don't end up crumbling towards the end of the day, which a lot of other liquid lipsticks do! They come off a little while eating, but its very minimal and it's easy to cover it up without removing any of the other product. They don't bleed out on the lips and feel really smooth without being dry or heavy. It really feels like you have nothing on your lips and you can lick your lips if needed without affecting the colour. I can wear these easily all day with only touching up slightly after my lunch, which is pretty impressive to me! 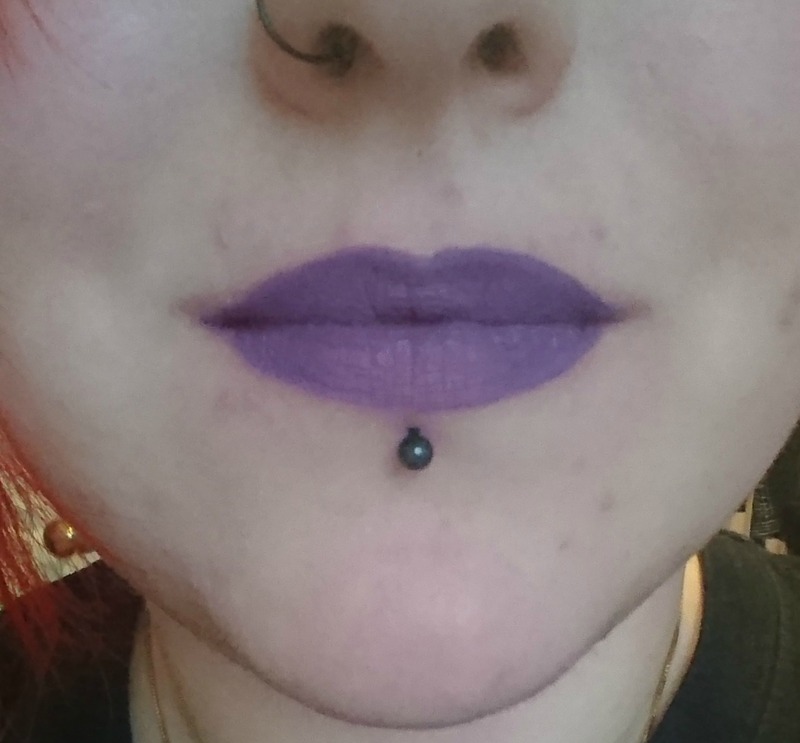 I was a bit nervous of buying these products without testing them first, but now that I have tried these 2 colours I'm definitely going to pick up some more when I want to treat myself because these lipsticks have set a standard for me that will be hard to beat! I bought these from Debenhams for £16 each and looking back on them, they are worth the price! Let me know if you have any of these lipsticks or if you have any other recommendations!